BRONZEVILLE — Even though it's less than a 2-block walk from the 47th Street Green Line Station to his home, Kevin Ambrose offered to meet his friend at the "L" so he wouldn't have to walk it by himself. "I had just talked to him on the phone when he told me he'd meet me at the station," said Michael Dye, 19. "When I stepped off the train, I saw him running. I didn't know it was him at the time." 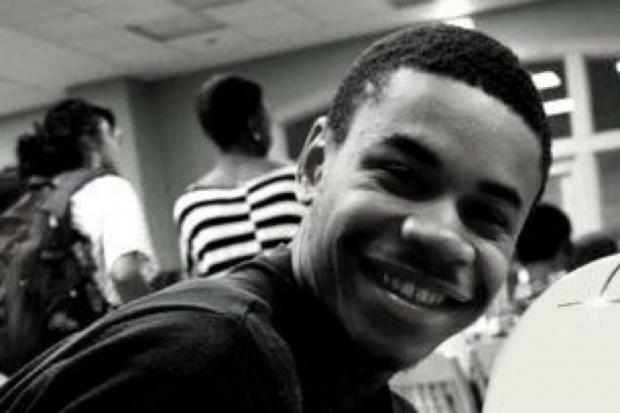 A 19-year-old who studied theater at Columbia College Chicago, Ambrose was fatally shot in his chest at 11:05 p.m. Tuesday night in the 4700 block of South Prairie Avenue, police said. "I'm so mad. There are so many people in this neighborhood who aren't making an effort with their lives. He was trying to make something of himself," his mother, Ebony Ambrose, said at their home in the 4800 block of South Prairie Avenue early Wednesday morning. "Why him?" she said. "I hate knowing my son had fear in his heart when he died." Police said shots were fired from a light-colored sedan just south of the "L" station. After he was wounded, Ambrose ran through a vacant lot before collapsing in an alley. He was pronounced dead about 40 minutes later at Stroger Hospital, according to the Cook County Medical Examiner's Office. Ambrose's friend since high school, Dye said he heard "three or four shots" when he stepped onto the station platform. He tried calling Ambrose twice. When he didn't get an answer, Dye ran downstairs and saw his friend lying on the ground. Someone at the scene handed Dye his friend's iPhone, which he later took to Ambrose's family. That phone buzzed continuously Wednesday morning with social media updates grieving Ambrose's death. Dye was supposed to meet Ambrose and another friend who had just completed his first year of college at Ambrose's home. Kristen Ambrose, Kevin Ambrose's 17-year-old sister, said the two had grown closer recently, bonding over nerdy things like comic books. On Saturday, which was Free Comic Book Day, she surprised him with an issue of "Superman," Kevin Ambrose's favorite. "If You know me I'm a huge Superman Fan," he posted on Instagram. "And a lowkey Nerd at heart so for her to randomly Get this today n give it to me makes her super Awesome"
Ambrose's mother said he "wanted everybody to be happy" and wasn't known to the neighborhood kids because he was involved in productive programs and never was interested in gang life. A graduate of Kenwood Academy who worked at the City Target in The Loop, Ambrose had developed an interest in the behind-the-scenes side of theater at school and in other programs. Julie Young, an adjunct instructor at Columbia, remembered Ambrose as especially interested in lighting design in one of her introductory theater classes in the fall. "He put his heart into his work," Young said. "He was dedicated in his studies and had a bright future in front of him." Ambrose's positivity lit up her classroom, she said. "He was such a warm presence," she said. "I will always remember his smile. He had a beaming smile." Though Ebony Ambrose's son studied theater at Columbia, he planned to transfer to one of the City Colleges of Chicago to study criminal justice, she said. He also was a performer. He never was "the best dancer" according to his mother, but he was among the most committed in a Joffrey Ballet youth program that sent dancers to South Africa three years ago. "He was dedicated, and he worked hard," said Pierre Lockett, the ballet company's director of community engagement and the Ambroses' upstairs neighbor. "You do all the right stuff, send him to decent schools and put him in programs," Ebony Ambrose said. "And this happens."